The City of New York is poised to sell liens on community property and vacant lots in our neighborhoods to private speculative trusts next week. This is how the City gives up its leverage over properties where taxes have not been paid and allows community property to disappear. We have written about this before. 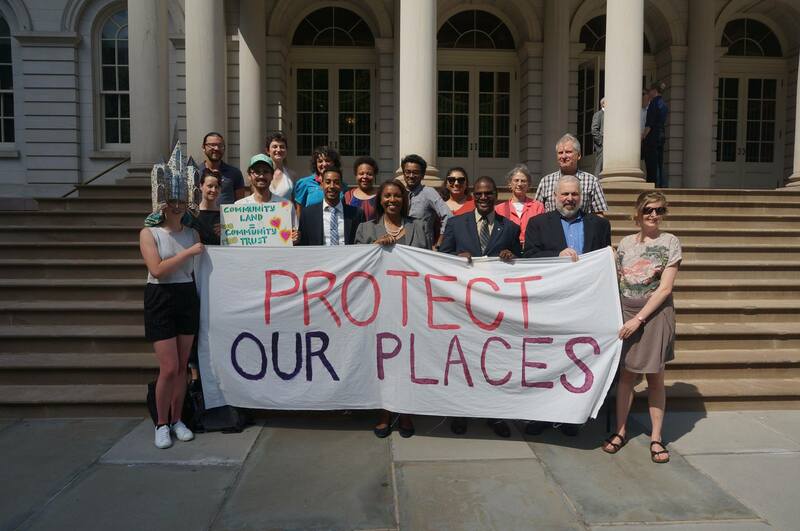 We have struggled and saved gardens owned by New York City’s community-based organizations poised to enter the sale, and in foreclosure after it. Sometimes we have lost; we watch decades-old gardens disappear. Let’s make this the first year in 20 when gardens, churches, day care centers and vacant lots in our neighborhoods are removed from the sale. Read and sign our petition to Mayor Bill de Blasio here. Then call 311 on Monday and ask the operator to let the Mayor’s staff know that you want all charity institution properties and vacant lots to be removed from Thursday’s sale. The petition text is below. Please sign it. On May 12, 2016, the City of New York is poised to give private speculative investors leverage over hundreds of properties in all five boroughs via the Department of Finance Tax Lien Sale. 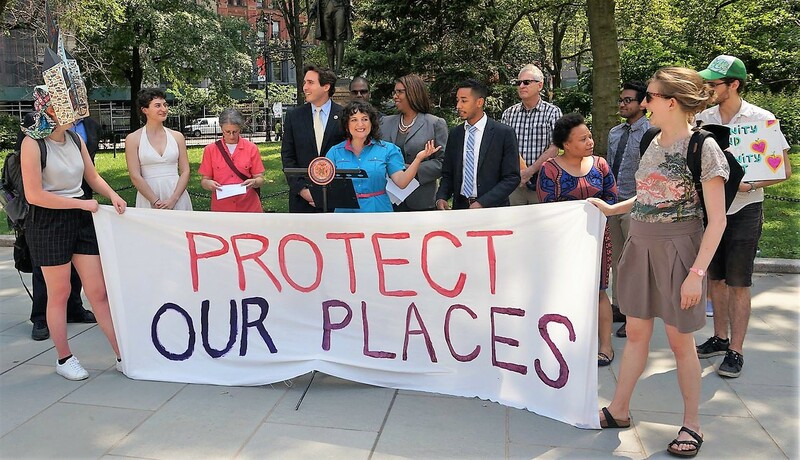 By selling the right to collect unpaid taxes on community gardens, churches, day care centers and other key places owned by community-based charity organizations, the City puts all these places at risk of foreclosure by the private debt collectors and the transformation of these key institutions into private residential development. By selling that right for vacant lots in the same transaction, the City gives up its power over the future of our neighborhoods and transforms unpaid property taxes into a “private” debt to be enforced by private debt collectors. We, the undersigned, urge you to take all properties owned by Not-for-Profit Corporations and other charitable institutions entitled to be free from paying property tax under the New York State Constitution out of next week’s tax lien sale. We urge you to remove all properties, including those that appear on the May 2, 2016 Final Not-For-Profit Non-Responders List and uncountable others around the City that are poised to enter the sale but do not appear on the posted list, like the Garden of Youth in the Bronx. In addition, we, the undersigned, urge you to remove all vacant lots from next week’s tax lien sale. 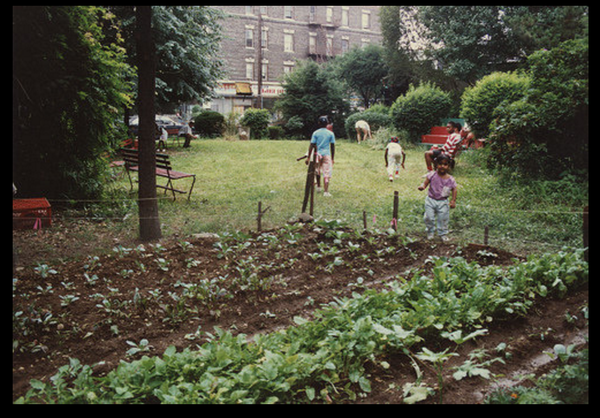 Allowing private debt to compound the pains of neighborhoods that have been abandoned by absentee property owners will not lead to responsible development of gardens, community centers and housing. The City’s retaining leverage over these properties is key for NYC communities. 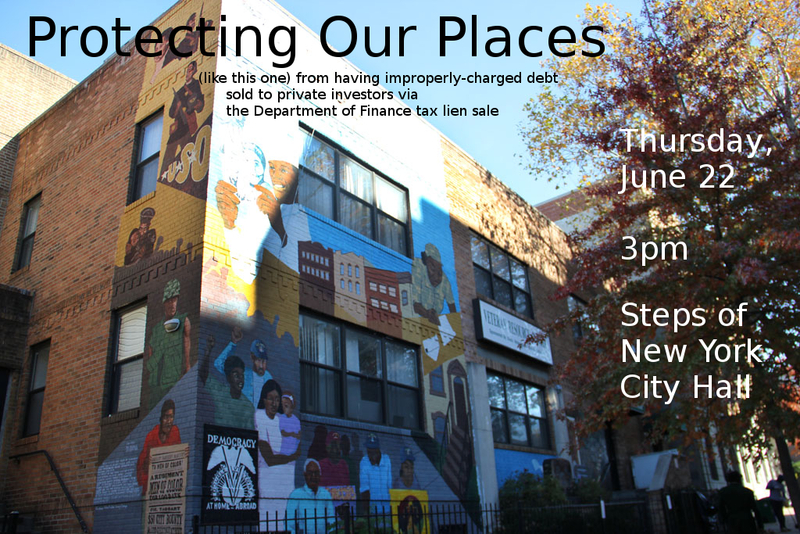 Finally, we urge that, once removed from the 2016 Tax Lien Sale, all properties that are determined to be not needed by City agencies to fulfill public purposes be directed to the Third Party Transfer program and reserved for transfer to stable Not-For-Profit organizations and/or community land trusts.